“It’s A Long Way To The Top“, our current show, features artist Sean Barton– don’t miss the chance to see his signs in person! Sean Barton is a traditional sign writer by trade. Originally from the Bay Area of California, he has traveled extensively; living in Europe, Canada and in numerous cities around the United States before taking root in his current home of Seattle, Washington. Barton has exhibited at galleries and the MOCA Museum in the United States as well as galleries in Tokyo, Japan and most recently in Milan, Italy. 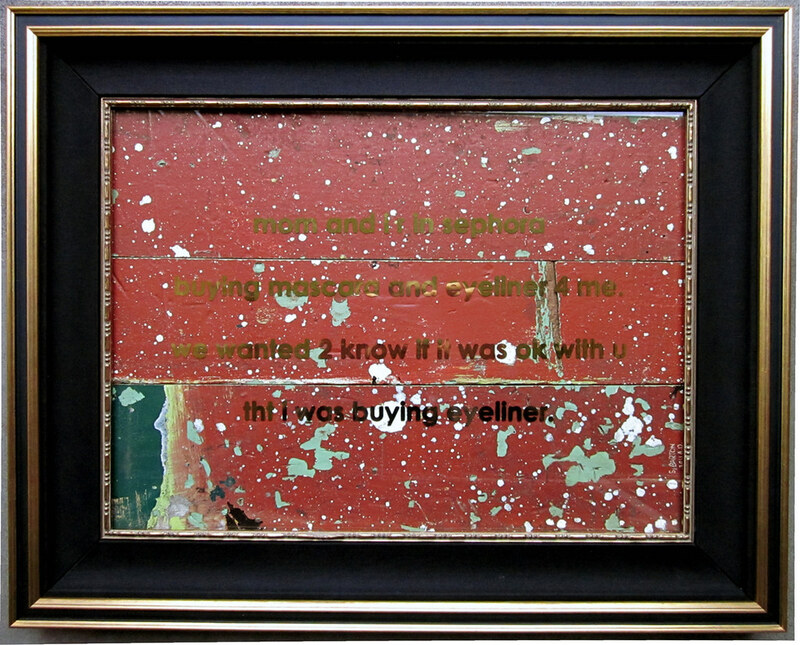 He uses the skills acquired from his trade to create art that draws on his passion for surface, historical sign painting and our fading American urban landscape. 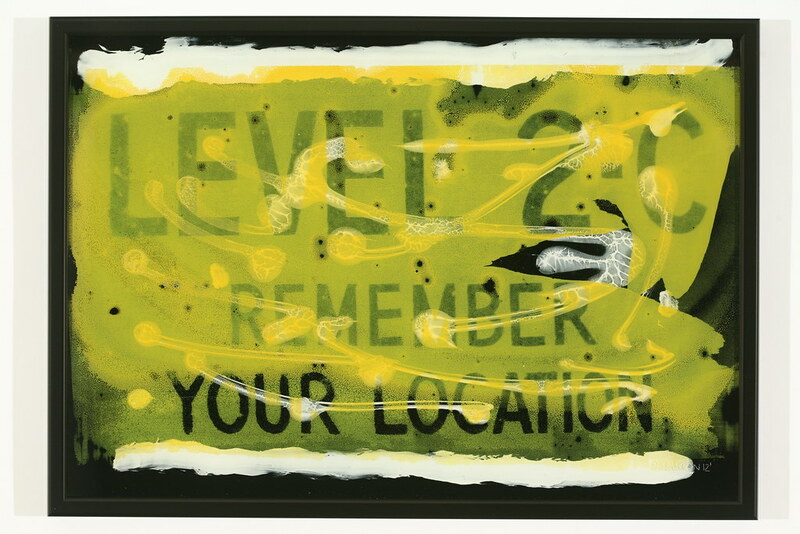 Using found sign imagery Sean Barton creates unique glass, gold leaf and silk-screened objects. His new work explores a catch and release effect- the transformation of work which takes place between the moment of inspiration (catch) and final product (release). These signs often go unnoticed and are rarely seen as beautiful objects. The goal is to transform them into a form that demands attention. In “It’s A Long Way To The Top,” his signs definitely attract attention as visitors marvel at the lost art of sign creation. More than that, these signs capture the importance of the “original”. Photographs of art can only go so far to describe the original. With Sean’s work, the physical piece is the only true representation of the details and creation process behind sign-making, so come see them yourself! “It’s A Long Way To The Top” is up until July 15th. Click here to see available art for purchase or email info@1AMSF.com.